What�s the fuss over furnace filters? If I had to guess, I would say the closest you come to thinking about your furnace on a daily basis is if you have to adjust your home�s thermostat. Even then, it�s not so much your furnace that crosses your mind, but keeping your home comfortable for you and your family. Usually, your furnace runs on its own, and doesn't require much extra thought as it does its job throughout the winter. A few times a year, you make sure your furnace is serviced and maintained, and then you forget about it until its next appointment. However, there is one part of your furnace that requires your attention more frequently that is sometimes neglected by homeowners, and is essential to keeping your furnace happy, and your family healthy: Your furnace filter. If you used your car as often as you use your furnace and air conditioner, it would have traveled about 325,000 kilometers in the past year. During that time, you would have had to change your car�s oil approximately 66 times! This example really illustrates how important it is to change your furnace filter on a regular basis. You wouldn't drive your car that far without a single oil change, and likewise, your furnace shouldn't run that long without several filter changes. Furnace filters stop particles from entering your furnace that can cause breakdowns or dangerous fire hazards. 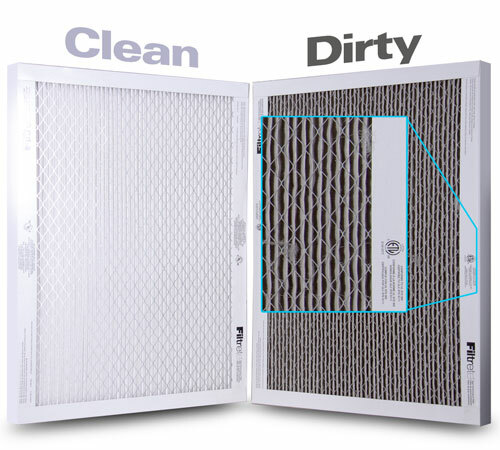 Depending on the kind of filter you have, they also help keep dust, particles, and allergens from re-circulating your home, which helps you and your family breathe easier and stay healthier. If you have pets, or if someone in your home smokes, the filter can become dirty and clogged more quickly. Once a filter is soiled, it makes it more difficult for your furnace to draw in air which decreases efficiency, costs more money to run, and it may not be able to properly heat your home. How often should a furnace filter be replaced? How often to change your furnace filter will depend on a number of factors, such as the kind of furnace you have, how old the furnace is, and whether or not the furnace is high efficiency. Typically, you will want to replace your furnace filter every 3 months. It never hurts to check on it once in a while to see what kind of state it�s in, which will help you gauge your furnace�s specific needs when it comes to filter replacement. If you have questions, or need some advice about your furnace filter, you can call Shipton's anytime. Our technicians can help you find the right filter, tell you how often it needs to be changed, and can even make filter replacement part of your furnace�s regular servicing appointments. Make filter replacement part of your home maintenance routine, and you can keep your furnace and family happy and healthy throughout the winter. 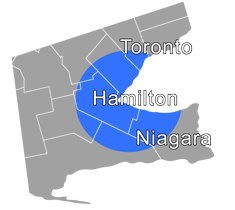 To shop online for furnace filters, check out Hamilton's Clean Air Solutions' Furnace Filters.